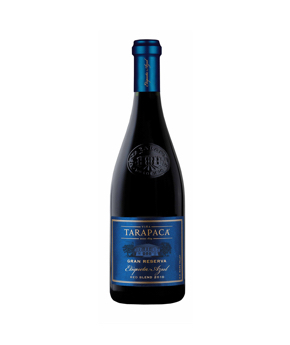 Viña Tarapacá was founded in 1874 upon the foothills of the Andes Mountains. Original varieties were planted with reds such as Cabernet Sauvignon, Merlot and Petit Verdot, and whites such as Chardonnay, Sauvignon Blanc and Semillon. The Viña Tarapacá estate has 2,600 hectares, of which 605 are vineyards. Gran Reserva Blue Label is the top-end wine of the Gran Reserva Tarapacá brand. It is a perfect blend of the finest lots in the Maipo Valley, which are only harvested in years that are considered extraordinary. The three varieties that constitute it, Cabernet Franc, Cabernet Sauvignon and Syrah –in different proportions each year to give the wine a unique personality with each vintage, give for the best expression of the Maipo terroir. 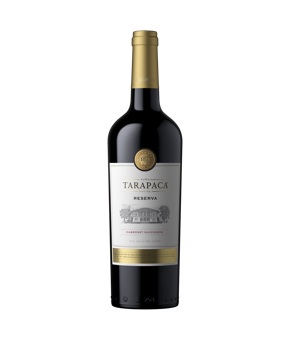 This wine is our finest Cabernet Sauvignon, with a long and successful track record as a sublime expression of the Maipo Valley. The best vineyards for this variety give origin to a classic wine which, combined with cutting-edge viticulture and winemaking, represent one of Chile’s finest. 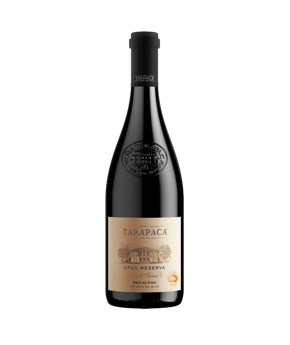 This range of wines expresses the essence of the Terrior of Fundo el Rosario which embodies the whole tradition of the “savoir faire” of Viña Tarapacá. Prepared with rigor and deep knowledge, they are current and versatile wines that seeks to faithfully reflect the origin of each of their varieties. 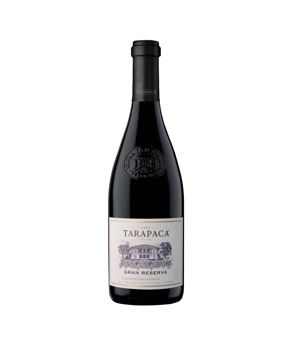 Red Blend crafted exclusively of certified organic grapes, carefully selected from the Maipo Valley. The range is born as a tribute to the soils that make up our exceptional portfolio, through limited production wines that combine the essence of the grapes from 5 of our series of soils. Selected from several vineyards, the grapes from this range are ripe and expressive, with good concentration and round tannins. This range of fruity wines looks to express the natural character of each of its varieties. ¿Tienes la edad legal para consumir bebidas alcohólicas en tu país?